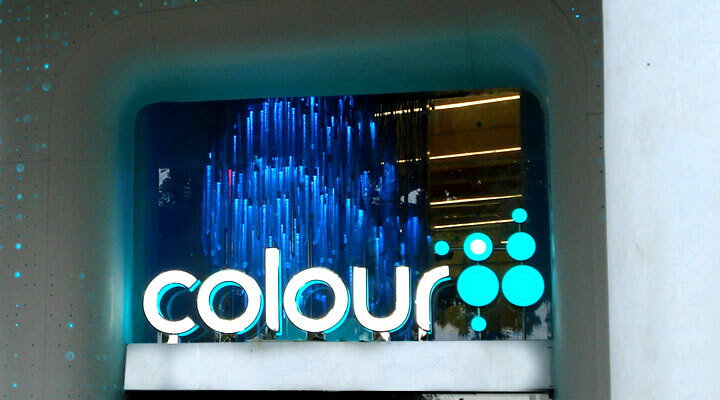 The signage for this store was arguably among the most challenging sign jobs done by us till date using RGB LED technology, which would synchronize with the internal light fixtures along with the external facade. 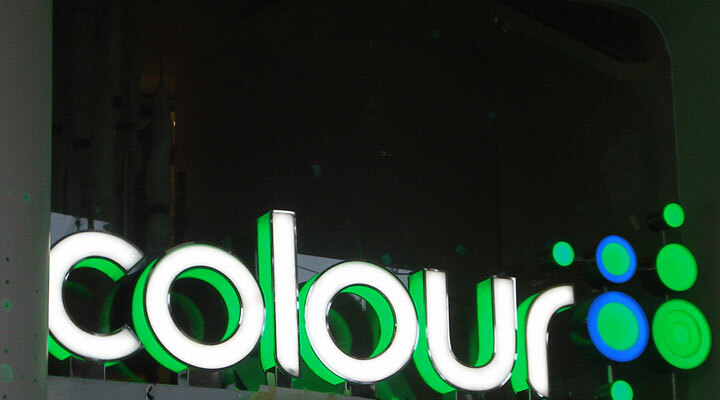 Signage fascia had to be static white, while the side body changed color as per a set digital program. 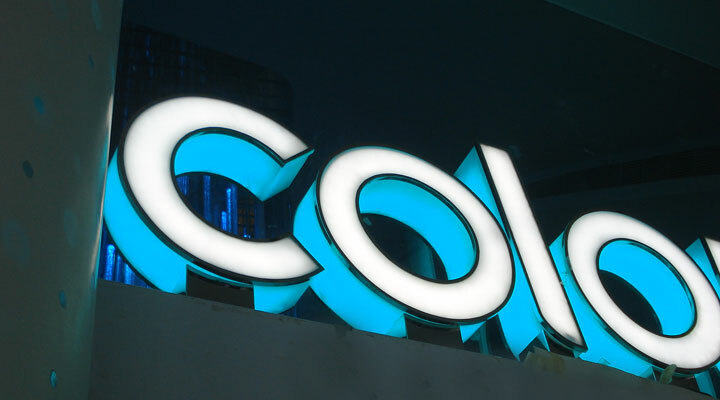 Some areas that required an innovative production approach from our end were-creating two different light sources within a letter of 75mm thickness (or the lack of it!) 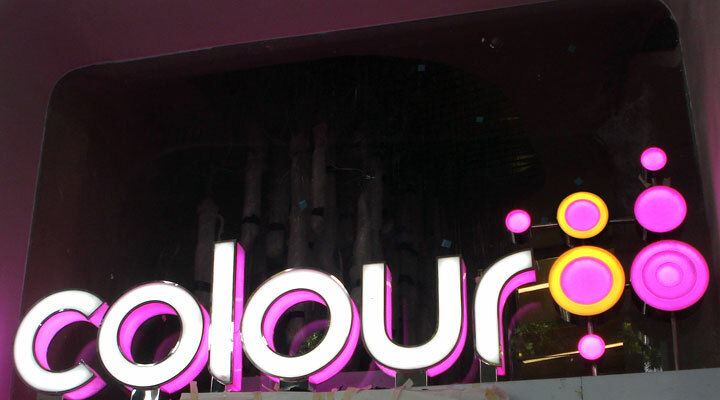 without letting the light leak into either section; all fixing details were remain hidden for people viewing the sign from inside or outside the store; each section was looped separately and provided with a separate power source/DMX driver and IP address to individually run each section; the logo was made of 21 such separate light sections.